Danielle Pletka is the vice president of foreign and defense policy studies at the neoconservative American Enterprise Institute (AEI). 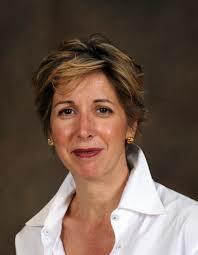 A long-standing advocate of militaristic U.S. foreign and defense policies, Pletka worked as a reporter for Insight Magazine during the George H.W. Bush administration and served as a member of the staff for the Senate Foreign Relations Committee during the Clinton administration. Pletka joined AEI in 2002, shortly after some two dozen AEI fellows and associates were tapped to serve in the George W. Bush administration. In May 2015, Pletka spoke positively of the candidacy of hawkish Sen. Marco Rubio (R-FL)—who has been advised by several neoconservative activists—for the 2016 GOP presidential nomination, telling Bloomberg: "I like Marco Rubio a lot, but I'm a very unusual person—I care first and foremost about foreign policy. Many Americans believe the Senate doesn't prepare a person to be president, and there are very, very few single issue voters, especially on foreign policy." Plekta is a vociferous advocate of an aggressive U.S. foreign policy and has been a strident critic of the Obama administration's comparative reluctance to commit U.S. troops overseas. Pletka has even sought to embellish a common neoconservative trope likening any skeptic of launching a new war to Neville Chamberlain, the British prime minister who sought to "appease" Hitler diplomatically. In a 2014 op-ed for FoxNews.com titled "Appeaser in Chief," Pletka likened the Obama to Chamberlain's predecessor, Stanley Baldwin, whom Pletka called a "midget of history" and accused of "placat[ing] Hitler for purely cynical reasons: because he sought political benefits from a war weary England." Charging the Obama administration with "wooing" the "murderous" Taliban, "argu[ing] for Tehran," and abandoning a pledge to intervene in Syria's civil war, Pletka concluded by accusing the administration of serving "their own domestic political aims at the expense of mankind." When reports emerged in October 2014 that a senior Obama administration official had called Israeli Prime Minister Benjamin Netanyahu “chickenshit” for his efforts to goad the United States into war with Iran, Pletka blasted the White House for not accommodating Israel. “The fact that American officials believe it is more advantageous to have a nuclear Iran than to have someone in power in Israel who will not kowtow to the US president says something about the fundamental rot at the core of the Obama administration, its contempt for the national security of the American people—who are at terrible risk from an Iranian nuclear bomb—and the vileness of the cowards and chickenshit officials who people the fiefdom of Barack Obama,” said Pletka, mischaracterizing the status of Iran’s nuclear program as being geared towards building nuclear weapons. Following Russia's 2014 intervention in Ukraine's civil unrest, Pletka argued that the United States should impose sanctions, isolate Russia, and sell natural gas to Ukraine and Europe as a way of offsetting Moscow's influence. But she claimed that such measures were likely to be ineffective because of Obama's perceived weakness. During anappearance on CNN's Crossfire, Pletka complained: "At the end of the day what we’re going to need is credible American leadership, and unfortunately for the president it’s that word—'credible'—where he has a real deficit.… That's the problem that he has from situation to situation, whether it's in Russia, whether it's Ukraine, whether it's China, whether it's Syria—wherever we see him, he just doesn't have what it takes to be taken seriously by foreign leaders." Her argument, however, drew derision from observers: "Shocking as it may seem," countered one writer from the Guardian, "sometimes countries take actions based on how they view their interests, irrespective of who the U.S. did or did not bomb." Pletka has frequently denounced pursuing diplomatic engagement with Iran. "Any opening from the United States will only lend credibility to that government and forever dash the hopes of a population that, according to reliable polls, despises its own leadership," she argued in a Los Angeles Times op-ed. "We have seen that engagement with the current leadership of Iran would not achieve policy change; all it would do is buy an evil regime the time it needs to perfect its nuclear weapons and to build a network of terrorists to deliver them." The goal of the AEI planning group was to determine how Washington might emerge from Iraq with a win: "The suggestion that victory was unachievable was dismissed from the outset. The idea that the world's greatest economic, political, and military force with more than a million men and women under arms can be trounced by the likes of al-Qaida in Iraq and Iranian-sponsored Shiite fire breathers is ridiculous. We can lose only if we choose to do so," Pletka said. Like many of her neoconservative contemporaries, Pletka was a fervent supporter of Ahmed Chalabi, the chairman of Iraqi National Congress, a U.S.-financed organization that worked closely with the Bush foreign policy team in making the case for the U.S. invasion of Iraq. When the U.S. government began distancing itself from Chalabi in part because of his controversial actions in Iraq, Pletka rose to his defense. Writing in the Los Angeles Times, Pletka called the U.S. government "a faithless friend" and concluded that Washington's agencies, namely the CIA and the State Department, were "more concerned with carrying out vendettas than with pursuing the real enemies of the United States." According to Pletka, Chalabi was one of the "all too few Iraqis who were willing to risk life and limb to topple Hussein; and there were even fewer who believed in Western democratic values." American Enterprise Institute, Biography: Danielle Pletka, http://www.aei.org/scholars/filter.all,scholarID.50/scholar.asp. Sahil Kapur, “Marco Rubio Channels A Bush-Era Foreign Policy,” Bloomberg Politics, May 13, 2015, http://www.bloomberg.com/politics/articles/2015-05-13/marco-rubio-channels-a-bush-era-foreign-policy. Danielle Pletka, "Barack Obama -- our appeaser in chief," FoxNews.com, January 24, 2014, http://www.foxnews.com/opinion/2014/01/24/barack-obama-our-appeaser-in-chief/. Danielle Pletka, “Bibi Netanyahu, ‘chickenshit,’” American Enterprise Institute, October 29, 2014, https://www.aei.org/publication/bibi-netanyahu-chickensht/. Washington Free Beacon, "Pletka: Obama ‘Doesn’t Have What It Takes’ To Be Respected By Foreign Leaders," March 3, 2014,http://freebeacon.com/pletka-obama-doesnt-have-what-it-takes-to-be-respected-by-foreign-leaders/. Michael Cohen, "Don't listen to Obama's Ukraine critics: he's not 'losing' – and it's not his fight," Guardian, March 3, 2014,http://www.theguardian.com/commentisfree/2014/mar/03/obama-ukraine-russia-critics-credibility. Danielle Pletka, "Hawks and Doves are Aflutter over U.S. Iran Policy," Los Angeles Times, July 23, 2004,http://www.aei.org/publications/filter.all,pubID.20960/pub_detail.asp. Danielle Pletka, "End Tehran's Free Ride," AEI, September 7, 2006, http://www.aei.org/publications/pubID.24872,filter.all/pub_detail.asp. Danielle Pletka, “Thanksgiving week, Iran edition,” American Enterprise Institute, November 24, 2014, https://www.aei.org/publication/thanksgiving-week-iran-edition/. Meet the Press Transcript, NBC News, July 19, 2015, http://www.nbcnews.com/meet-the-press/meet-press-transcript-july-19-2015-n396561. Howard LaFranchi, “Iran deal: Is it a 'pleasant surprise' or a centrifuge too far? (+video),” Christian Science Monitor, July 14, 2015,http://www.csmonitor.com/USA/Foreign-Policy/2015/0714/Iran-deal-Is-it-a-pleasant-surprise-or-a-centrifuge-too-far-video. Danielle Pletka, “Congress has options on Iran,” AEI, August 31, 2015, https://www.aei.org/publication/congress-has-options-on-iran/. Philip Kennicott, “The Knowledge That Doesn’t Equal Power,” Washington Post, May 13, 2004, http://www.washingtonpost.com/wp-dyn/articles/A22577-2004May12.html. Danielle Pletka, “The Problem with Hagel,” USA Today, January 8, 2013, http://www.usatoday.com/story/opinion/2013/01/08/chuck-hagel-defense-secretary-israel/1817347/. Dan Isaacs, "U.S. Suspects Face Torture Overseas," BBC News, June 14, 2005, http://news.bbc.co.uk/2/hi/americas/4088746.stm. Danielle Pletka, “The CIA report is too tainted to matter,” The New York Times, December 9, 2014, http://www.nytimes.com/roomfordebate/2014/12/09/a-tortured-accounting/the-cia-report-is-too-tainted-to-matter. AEI transcript, "Iraq, A Turning Point," January 5, 2007, http://www.aei.org/events/filter.all,eventID.1446/transcript.asp. Danielle Pletka, "The President Is Tired," AEI, October 7, 2005, http://www.aei.org/publications/filter.all,pubID.23311/pub_detail.asp. Danielle Pletka, "Why the American Reluctance?" AEI, December 22, 2005, http://www.aei.org/publications/filter.all,pubID.23622/pub_detail.asp. Danielle Pletka, "It's No Secret that the CIA Plays Politics," Los Angeles Times, February 21, 2006,http://www.aei.org/publications/filter.all,pubID.23909/pub_detail.asp. Danielle Pletka, "U.S. Only Wounded Itself When It Betrayed Chalabi," Los Angeles Times, June 4, 2004, http://www.aei.org/article/20646. Johns Hopkins University, SAIS: M.A.